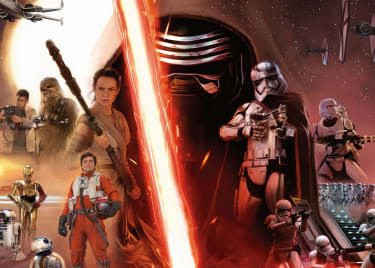 The Star Wars franchise is about to undergo dramatic change. 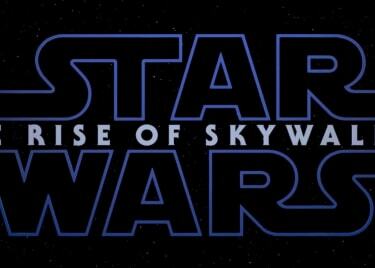 Next year will see the end of the Skywalker Saga, when Episode IX brings the story of Rey and Kylo Ren to a close. 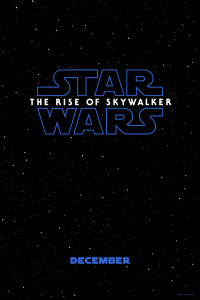 The saga features three generations of heroes, and tells the story of the rise and fall and return of a Galactic Empire. When that tale has been told, what’s next for the series? The answer lies in a section of the galaxy that has been seldom explored, even in the old Expanded Universe. It’s time for the Star Wars films, novels, and TV shows to take us into the Unknown Regions. Join us on a speculative journey to one possible future of the franchise. What Are The Unknown Regions? Star Wars fans have long been fascinated by the Unknown Regions. They offer the thrill of discovery, and the idea of seeing something that even the likes of Luke, Leia, and Han never encountered. And they offer writers an opportunity to envision alien races, beings, and even Force users that sit outside the typical Star Wars fare. That’s why some of the franchise’s most notable original characters, including Grand Admiral Thrawn, hail from the Unknown Regions. 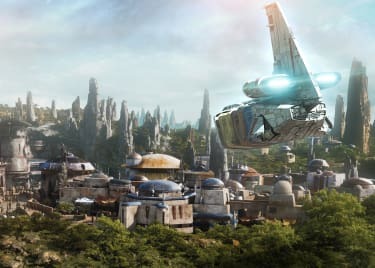 All Star Wars media – from movies to novels, TV shows and comics – are increasingly pivoting towards the Unknown Regions. According to the novels, Palpatine was captivated by them. He sensed a powerful Force presence out there, “some origin of the Force, some dark presence formed of malevolent substance.” When the Emperor discovered the Chiss tactician Thrawn, he encouraged him to become one of the few aliens to serve in the Empire; all because the Chiss originate from the Unknown Regions, and Palpatine sought Thrawn’s knowledge. Palpatine set up a contingency plan to follow his death that would see the Empire reformed in the Unknown Regions. That’s where the last remnants of the Empire met the being known as Snoke and were transformed into the First Order. Given that the animated Star Wars: Resistance series will see the Resistance investigate the mysteries of the First Order, it’s reasonable to assume the show will explore the Unknown Regions quite a bit. Meanwhile, Timothy Zahn’s latest novel, Thrawn: Alliances, has revealed a terrifying new threat known as the Grysks. (Note: Spoilers ahead – if you’re planning to read the book, skip to the next paragraph.) The Grysks, one of many races which live within the Unknown Regions, have been watching the galaxy for years, preparing for an invasion. They’ve been delayed twice, during the Clone Wars and the days of the Empire, but they’re still out there. An invasion is inevitable. And here’s the exciting thing; according to Zahn’s novel, they are one of only a handful of threats to the galaxy that lie out on the edge of space. Anything could be out there. If these films are to truly revitalize the Star Wars brand, then it’s important the writers and directors be given the opportunity to flex their creative muscles. The Unknown Regions offer a unique opportunity. They could allow writers to explore concepts never before seen in a Star Wars movie, while weaving in familiar aspects of franchise mythology. There’s a remarkable amount of creative freedom in the idea of the Unknown Regions. Films set in the past come to a preordained end, in that we know what the galaxy will ultimately look like; adventures set in the future risk being anti-climatic, making viewers feel that the sacrifices their heroes endured only brought about a temporary peace. But the Unknown Regions are a place where storytellers can truly be liberated. All the evidence suggests that Lucasfilm is becoming increasingly interested in exploring the Unknown Regions. There’s a good reason for that; this is where the Star Wars franchise needs to go in order to reinvent itself.